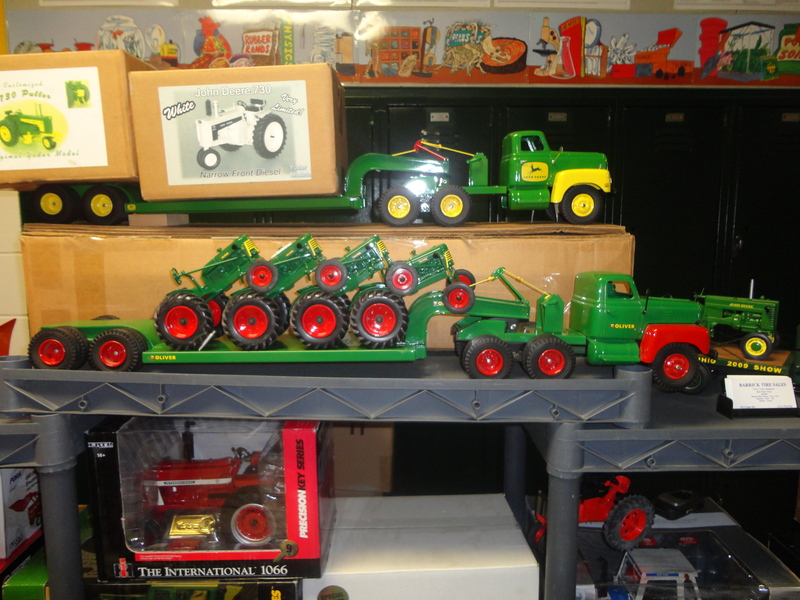 Watch for the Farm Toy Show to be held in conjunction with the 32nd Annual Greater Peoria Farm Machinery Show. Farm Toy Collectors are always psyched when they learn about a new farm toy show and hot off the press I have information about a new show! A farm toy show will be held in conjunction with the 32nd Annual Greater Peoria Farm Machinery Show. I picked up a flier at the National Farm Toy Show in Dyersville and called the show Chairman Dave Copple to get some more information. Dave toy collector and vendor and Peoria County Farm Bureau Director said that the show will be held at the Civic Center on Tuesday, Wednesday, and Thursday, December 3, 4 and 5, 2013, the Peoria County Farm Bureau is sponsoring the show. Show hours are 9 a.m. – 4 p.m.
With 20,000 people attending the “The timing is perfect,” Dave said, “because it is right after the Central Illinois Farm Toy Show held Saturday November 30-December 1, 2013 in Bloomington, Illinois and before the National Trail Farm Toy Show, Sunday, December 8, 2013 in Effingham, Illinois. Many well known vendors are already in place to attend the show, Kevin and Nancy Collins from Davenport, Iowa, collector Jeff Cruce, Loyd Jasper of Jaspers’ Custom Toys and Judy Weber from the Dyersville Area Historical Society, who will be displaying, selling, and taking orders of selections from the Society’s American Country Barn Series with all proceeds benefiting the Dyersville Area Historical Society. The barns are made by the Ertl Company in Dyersville, Iowa. Other vendors include Irv Termuende, Giles Turner is from Augusta, Wisconsin and fellow collector Mark Youman will also be offering up a variety of toys at this first ever farm toy show. I plan to check out the toy show and for those looking for more to do, the Caterpillar Visitors Center is also open as well. Check out an earlier blog about the great stop! For those looking to find the toys, the toy show will be held on the main floor in rooms 134, 135 and 136 which are between the Exhibit Hall and the Civic Center Theatre. For more information about the show and the vendors, go to the Peoria Farm Toy Show website at: www.peoriafarmtoyshow.com or call Dave Copple at 309-338-2252.